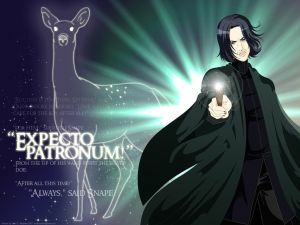 Severus Snape | Expecto Patronum! COLLECT a Bath bun – in the foreground, to the right of the candle. Move cursor to get Buckbeak to eat from the bloody ferret meat in front of him. Move cursor to get Fang to yawn. Move cursor to make the worms move. COLLECT Chocolate Frog Card for Wilfred Elphick (first Wizard gored by an African Erumpet) – by opening the top drawer beneath the worms. COLLECT a Galleon – by opening the second drawer beneath the worms. COLLECT Flobberworm Mucus – at the base of the chest beneath the bowl of worms. CLOSER LOOK at the letter sent to Hagrid concerning Buckbeak’s attack on Malfoy – from the pocket in the hanging coat. Move cursor over Harry’s head, to get Harry to become visible from beneath his Invisibility Cloak and hear the cloak removed. COLLECT a bar of Frog Spawn Soap – from Ron’s pocket. COLLECT a Leaping Toadstool – from the base of the tree next to the Shrieking Shack. Move cursor over gate to hear it creak. COLLECT Valerian Sprigs – from the valley to the right. Move the cursor over the jars on Snape’s shelves to see some of the contents move. COLLECT Pufferfish Eyes – from the left side of the third shelf to Snape’s left. COLLECT Bat Spleens – from the floor below the shelves to Snape’s left. COLLECT Dragon Liver – from the floor below the shelves to Snape’s left. COLLECT Eels’ Eyes – from the right side of the second shelf to Snape’s left. Move cursor over the bag to Harry’s left to see one of the items move. (sorry… can’t tell what it is). CLOSER LOOK – the insult the Marauder’s Map gave to Severus Snape. Move the cursor over Snape’s right arm to get him to throw the floo powder in the fireplace – and bring Lupin into the picture. Feel free to use the comments thread to post your own responses to the questionnaire (or to my answers). 7. When do you think does critical character analysis cross the line and becomes character bashing/racist/sexist/other? I don’t see a lot of racism and sexism in HP character analysis. (And I steer completely clear of the rancorous Severus vs. Lily debate because I love both characters). I do suppose, though, that analysis dismissing the possibility that Molly might be able to duel effectively because she’s a mother and housewife could be construed as verging on sexism – if not crossing the line into it. Let’s say, hypothetically, that we’re analyzing a character who does some things that are mean spirited and some things that help in the fight against Voldemort. And let’s say, hypothetically, that someone does not like the character because of the mean spirited things the character does. Disliking the character is not bashing. Indicating that the mean spirited things the character does are distasteful is not bashing. However, let’s say that dislike for the character leads to an analysis that automatically pre-defines all of the character’s actions and motives as “bad” – even actions and motives that would be considered “good” if the person’s favorite characters did them. I would consider that to be bashing. Let me use James as an example. I dislike James. That is not bashing. I am appalled by his actions in SWM. That is not bashing. However, if I defined James’s actions on the night Voldemort comes to Godric’s Hollow in terms of James’s actions in SWM… and then decided based upon SWM that nothing James ever does could possibly be construed in a positive light – and that therefore his brave and selfless actions on the night of his death must by definition be analyzed negatively – that would be bashing. It’s sort of the character analysis equivalent of the ad hominen attack. Basically, this is a form of analysis that imposes a pre-defined analytical outcome based almost exclusively on dislike of the character and that then manipulates the text in order to arrive at that pre-defined outcome. 8. To what extent do you allow your opinions of the characters to be swayed by the opinions of other characters? Very little, in the end. That doesn’t mean that I’m not influenced while I’m reading by characters’ opinions. Reacting to and testing characters’ opinions against other evidence is part of the reading experience imo. Basically, I always leave open the option to revise a character opinion based on additional information that I’m shown. Until I read SWM, I didn’t put any stock at all in Snape’s opinions of Marauders. But for some reason, before I read TPT, I put pretty close to absolute trust in what Sirius had said about Snape. My final opinions were influenced more by what I was shown than by what I was told. I do think that Harry’s a bit of a special case because he’s the Hero of a monomyth. It is inherent to the structure of the monomyth that the Hero have great wisdom at the end of the tale. So I do put a lot of stock in Harry’s final opinions… but that’s due to the mythic structure of the tale. And speaking of the monomyth, etc. – I made some comments earlier about symbolism. 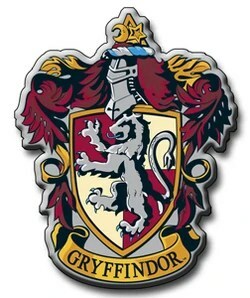 Basically, I will engage in symbolism if the symbolism is obvious… or is suggested by JKR. But I’m not big on just combing through the text trying to force symbolic readings on it. 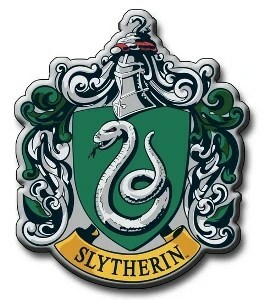 In Pottermore Rowling revealed her reasoning behind giving the Dursleys the number “4” in their address. She says that she sees “4” as a “hard” and “unforgiving” number, hence it winds up in the Dursley street address. 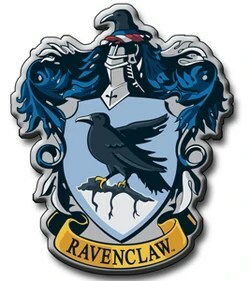 But that leaves open the question of why she creates 4 Houses at Hogwarts and 4 founders of those Houses. Is she using the same logic in creating 4 Houses as she used in assigning 4 to the Dursley address? Or is she using an entirely different logic (for example, the number of elements)? In other words, is it merely coincidental that there are also 4 Houses or does it have some kind of significance in relation to her opinion of the number 4? So, since the Elements are pretty obviously important to JKR’s conception of the Houses, I think it’s fairly natural to explore the meanings of each of the elements and see how each House’s element applies to the House. So yeah, I do think that there are reasonable applications of symbolism in the text.